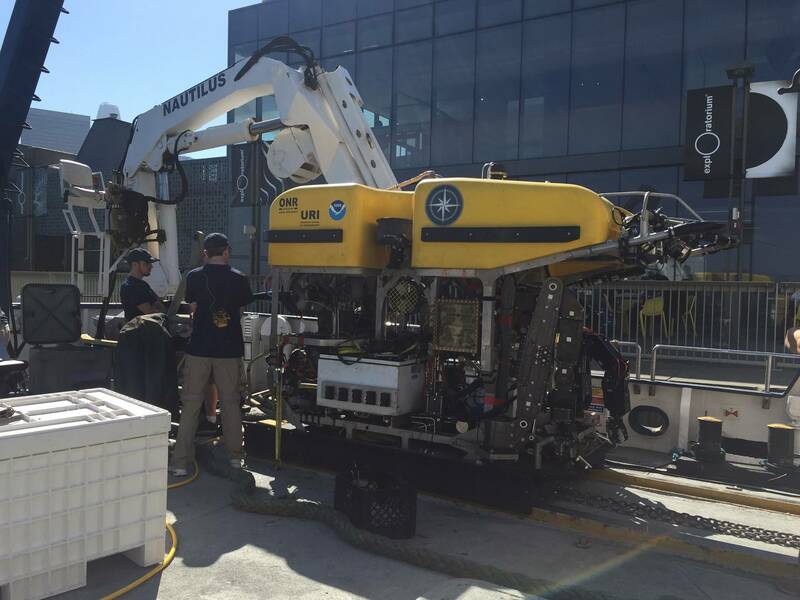 Marine scientists are embarking on a 10-day research expedition on Sunday to a previously unexplored part of the Monterey Bay National Marine Sanctuary with the help of two remote-controlled robots. 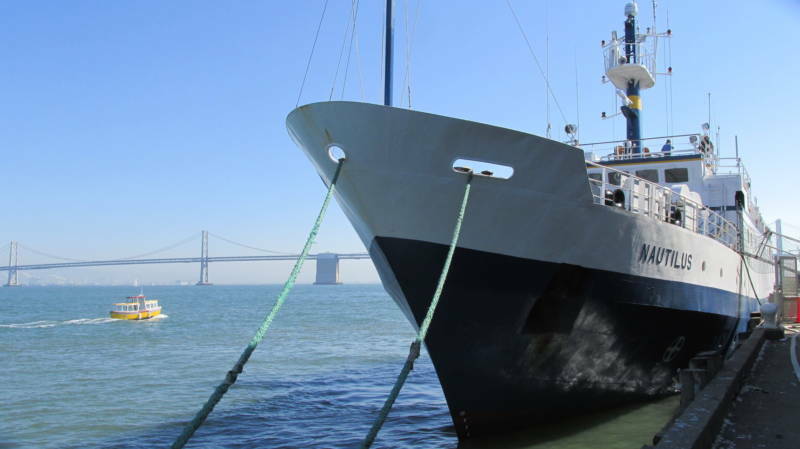 The Nautilus, a 211-foot research boat, will carry a 31-person science team from the National Oceanic and Atmospheric Administration and the non-profit Ocean Exploration Trust to study sea life on the Davidson Seamount, an underwater mountain 80 miles southwest of Monterey. The mountain is 7,480 ft. tall, and its peak is 4,101 ft. below the surface, meaning the sea life the scientists are hoping to study are nearly 12,000 feet down. That's where Argus and Hercules come in. 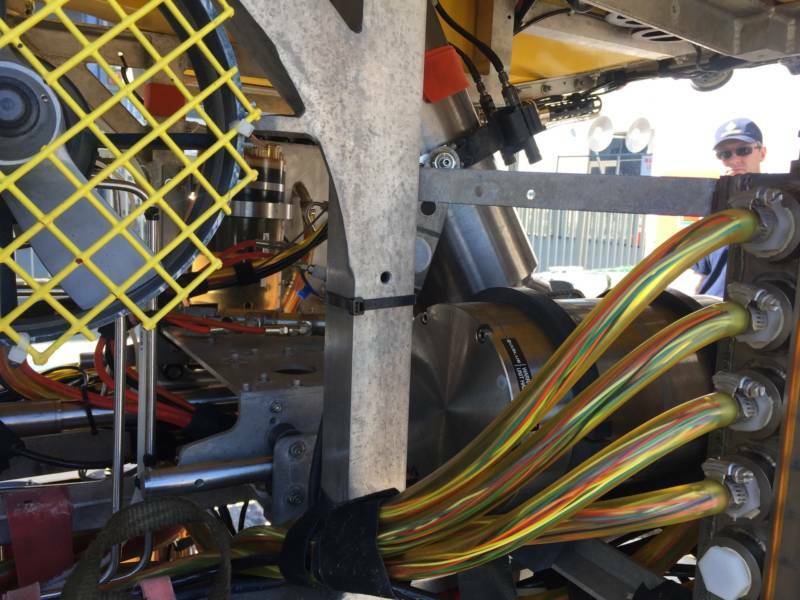 The two remote-controlled robots will be launched from the Nautilus—Argus will be attached to the boat by a cable, and Hercules will float below it, recording video and collecting samples of coral and small animals with its robotic arms. 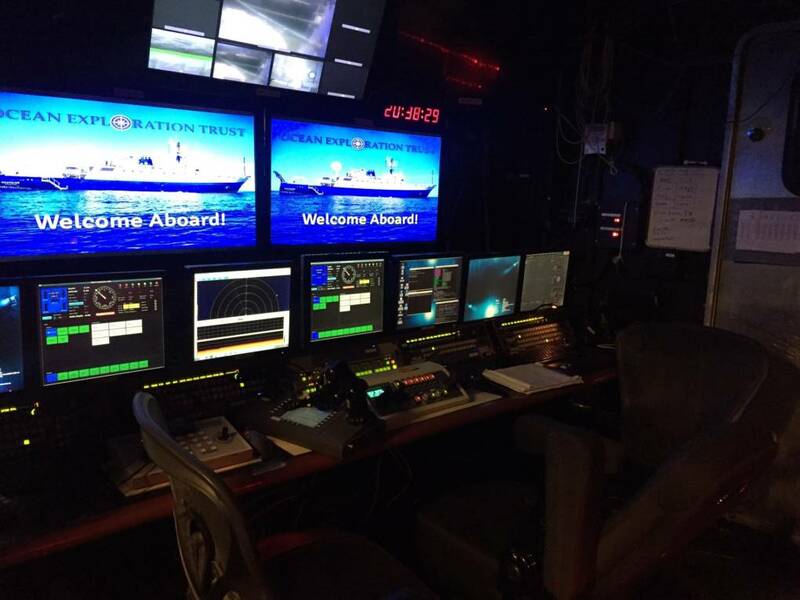 The scientists aboard the ship will monitor and control the robots from a room above the deck of the Nautilus. The feed from the robots will be livestreamed online. 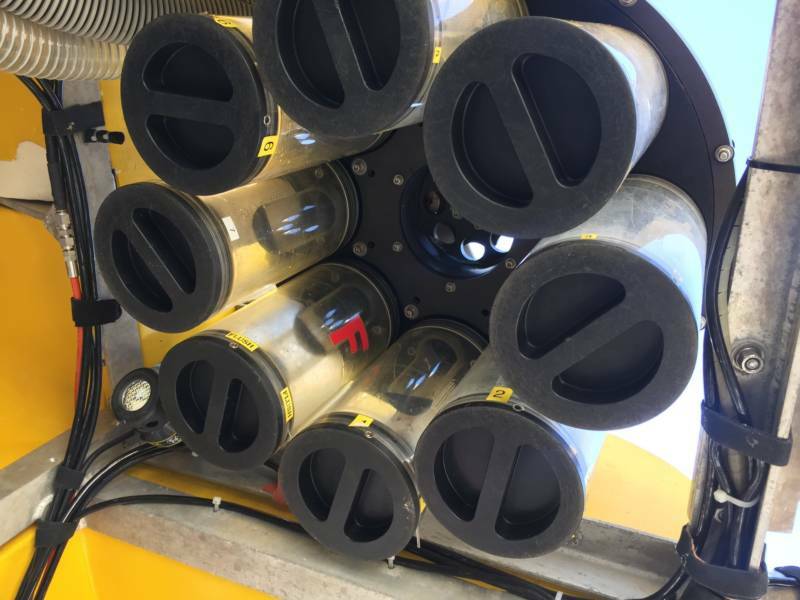 "Humans have been able to go this deep for quite some time," says lead scientist Chad King, "but today it doesn't make sense to send humans down. Why risk it when we have the technology to send these robots that people can command and control virtually from a control room while essentially we just sip our coffee in the safety of a dark room?" 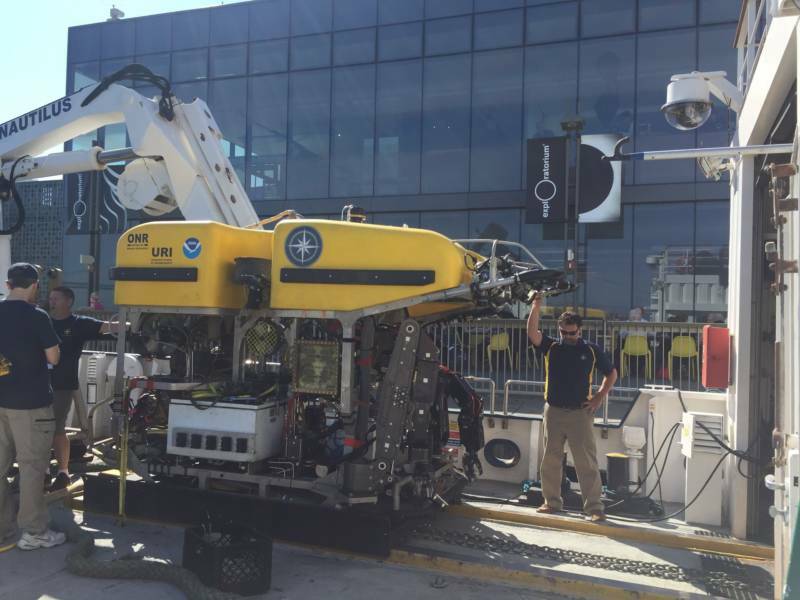 The scientists are hoping to capture images of colorful coral and exotic-looking animals. 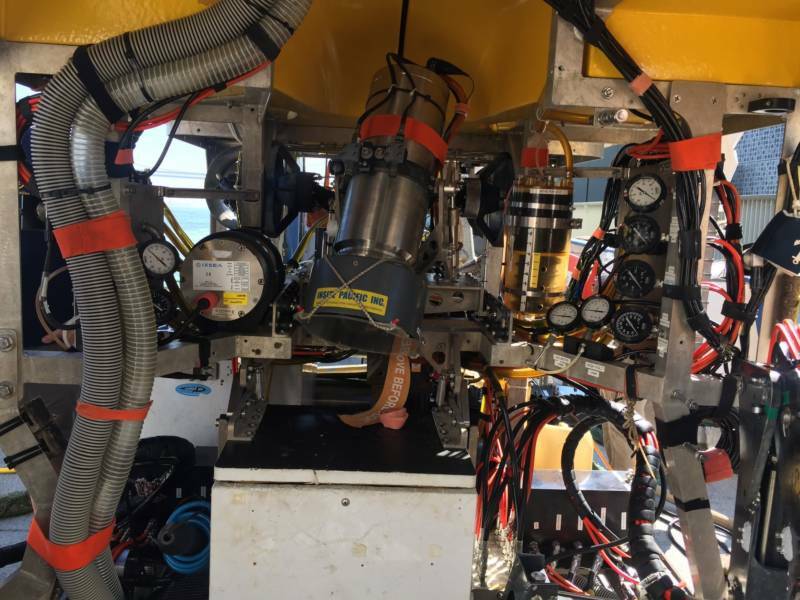 Last month, the Nautilus was on another mission and recorded images of a purple Gulper eel that went viral online. "So we're hoping to run into that kind of charismatic fauna," King said.